This past weekend was international hermit and stitch weekend. Thank you for your kind comments regarding all that’s going on, they meant a lot and I was very touched by them. 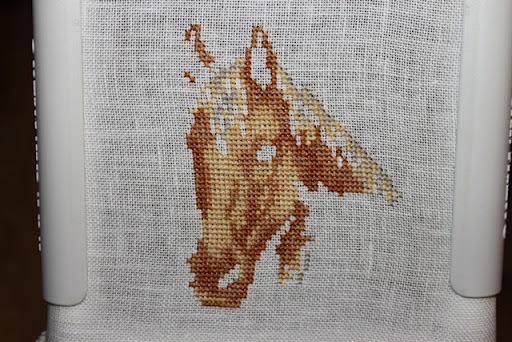 I was not so hopeful of getting a lot of stitching done at the moment as I can’t settle my brain to it but was pleased to get the last few hours put in on the 10 hour rotation on the horse picture for Caoimhe for her birthday. This was a new start so this is where it stands after its first 10 rotation. I then debated what next to start in the rotation as I was due to replace my own personal project in the rotation, what with having Mr Darcy’s letter completed. I chose to work on Sanctuary of Knowledge my HAED. I am 3 hours into the rotation so far. I will finish the 10 hour rotation on Sanctuary and then begin the rotation again on hubbies hunting picture. Lets hope this week sees that happening. I did start and finish Amanda Grange’s Darcy’s Diary a great easy read with all my favourite characters. I am now nearly finished Georgiana Darcy’s Diary by Anna Elliott and will on Thursday have a book review in the Thursday Book Challenge where this weeks Dishcloth challenge cloth will be shown so check back for that. This entry was posted in Uncategorized and tagged Horses, Sanctuary of Knowledge. Bookmark the permalink. Oh Ruth, I was happy and surprised to see you start the HAED again. Good for you, it's not forgotten. 🙂 Nice horse for Caoimhe. Still lifting you up in prayers my friend. The horse looks great! I love the fabric you have for your HAED. I don't think that's available in the US. Ruth, you made lovely progress on both projects.Take care of yourself! Look at you go– reading and stitching…… and blogland …. that's the way to make it though the day.Hugs to you and yours! Beautiful progress on the HAED and I love the horse! The horse is awesome, boy would SIL love that, she's a real horsey person. Thanks for your visit, appreciate it. Hello RuthYou had a great amount of progress. 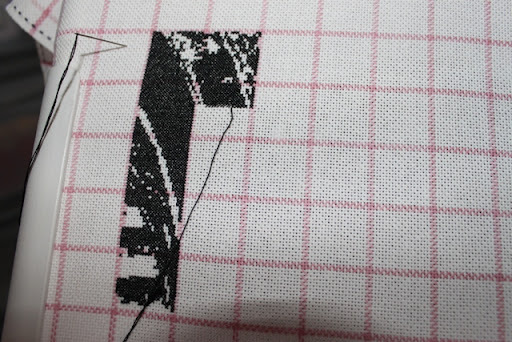 The horse Wip is looking great.Happy stitching. Hey Ruth, sorry for the late post, but we were on vacation in sunny Mexico. Actually that's where I spent my St. Patty's Day!So happy belated holiday and your cross stitch looks great. (And thanks for the history lesson. I really didn't know that much about it). I just found your blog today; lovely stitching and knitting! Great start on Sanctuary! 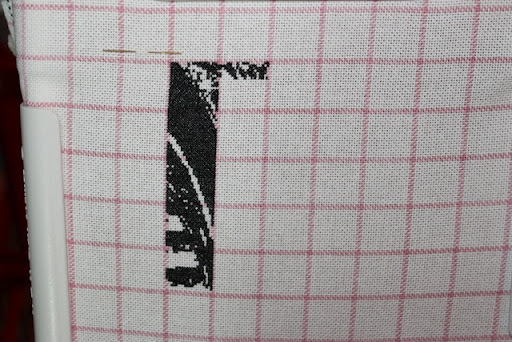 I'm stitching this one as well. HAED's are very addictive (and a bit endless, lol). I'm looking forward to seeing your progress and your socks (I've developed a little sock obsession recently).